If you like, you can also dive in deeper and learn what specific parts you need to build a PC and how you build a Computer from scratch. How you assemble a PC and what the best Computer specs look like are some other very interesting things that might be of interest to you. On this Site you can also learn about PC Brands, what Processor, Graphics Card, Storage Devices and Memory you can get to optimize your new PC as much as possible. 1. Do you want a Desktop PC/Workstation or a Laptop? 2. Purpose of the PC/Laptop, What will you be using it for mostly? A Desktop PC usually comes in a tower-size and measures around 20x40x50cm (8x16x20 inches). The so-called PC-Case is usually black, grey or white and can come in all kinds of variations, with side-doors, glass panels and other features that you might or might not need. The Desktop PC is meant to be stationary and is usually moved very seldom. You need an additional Monitor, Keyboard and Mouse to complete the Desktop PC and be able to work with it. A Desktop PC is usually much more powerful than a Laptop, given its dimensions and the ability for housing larger parts, better cooling and a power supply connected directly to the wall and not to a battery. So if you are planning on doing tasks that require very high performance (more on this later), you should consider a Desktop PC over a Laptop. A Desktop Computer can usually be upgraded much more easily because the access and layout of PC-Components inside of the PC-Case are based around being able to swap out and put together your own computer quite easily. The main benefit of a Laptop is its mobility. You can pick up a Laptop and take it with you much more easily than a Desktop PC. It also has a screen, touchpad and keyboard integrated directly, meaning you only have to carry around one thing to change your workplace. Because a Laptop is usually much smaller than a desktop PC, it unfortunately also has some cooling and power limits that it has to adhere to. 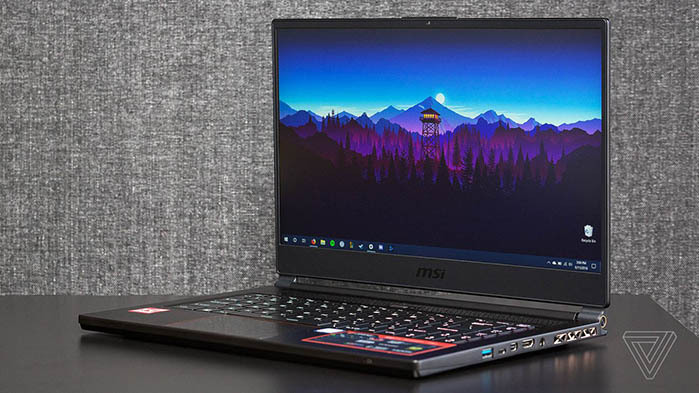 This usually comes with inferior performance potential, as the built-in parts in a Laptop have to be built to run on less power, meaning they also deliver less performance. If Mobility is of utmost importance to you but you still need extreme performance, there are Laptops that offer similar speed to Desktop PCs, but they are quite heavy and become noise very fast because they have to cool the built-in components a lot more than their lower-performance counterparts. Upgrading a Laptop to stronger components is usually quite difficult, with the Storage Drive and RAM mostly being the only two components that an average consumer is able to swap out. Anything else, a CPU, GPU or Mainboard are built into the Laptop in a way, that makes upgrading them very difficult. A Laptop is usually limited to one Monitor (unless you carry extra Monitors with you), and working on the touchpad can slow you down a lot. Text-Editing, Internet Work, Coding, simple Motion Design, simple Animation, and basic Video & Photo Editing can all be done on Laptops. If you work on complex projects though, you will be extremely thankful to have a Desktop Workstation. Especially if you do GPU / CPU Rendering and other Processing work that requires strong components. What will you use this Computer for and especially, what kind of Software will you run on a day-to-day basis? Editing Video on a Computer uses its hardware resources in very special ways. 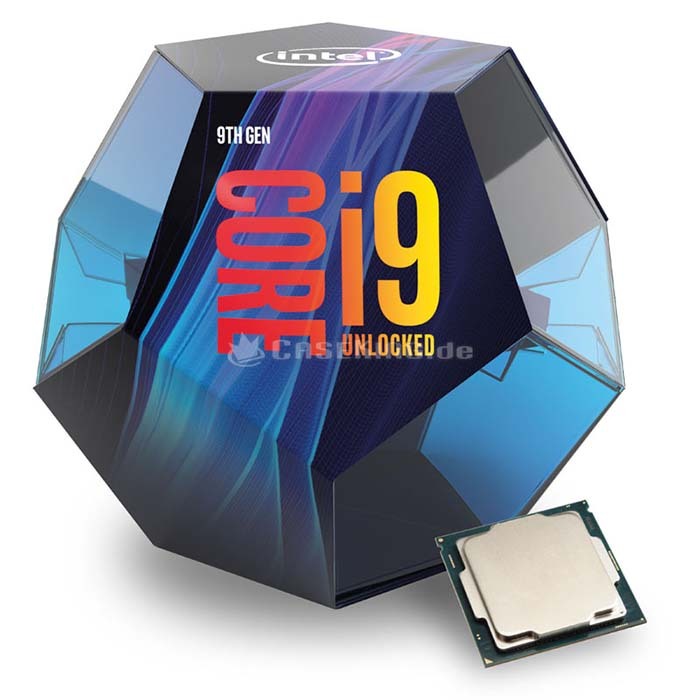 The best-performing CPUs for Video Editing for example, usually have high-clocks and around 8 Cores, such as the Intel i9 9900K. Video Editing can use a good amount of RAM and you should be looking for at least 16GB, better even 32GB for serious Video Editing on 2K and 4K Footage. Storage is another important Component, as Video Footage can become quite large and is constantly loaded by your Video Editing Software, such as Premiere Pro. This means having a Storage Device that reads and writes Data fast will increase your Video Editing performance. NVME SSDs such as the Samsung 970 EVO and 970 PRO Series are the goto high-performance storage medium. They do come at a slightly higher price but they are worth it. The Graphics Card plays a minor Role in Video Editing, it can speed up some Effects processing, but usually isn’t a major factor in your Video Editing performance. Head on over to the in-depth PC Video Editing Article where you will learn exactly what kind of a PC you need if you edit Video on a day-to-day basis. Or check out this Article if you would like to edit Video on a Laptop. An important thing to note, is that Rendering your timeline into a movie, which usually involves compression with codecs, is something that uses your Computers’ resources a bit differently than when actively working on a project. The Rendering process is something that requires CPUs that are optimized for Multi-Core Processing compared to high-core-clocks in active work. So if you do a lot of processing, basically just loading footage and converting it into differently compressed footage, go with High-Core-Count CPUs such as an AMD Threadripper 2950X, which have excellent value in this area. If you are a Graphic Designer and spend most of your Computer hours in Photoshop, Illustrator or other Pixel or Vector Based Software, you won’t need a CPU with lots of Cores but rather one with a high single-Core Clock. This will accelerate your Canvases and work experience, make your Software snappy and responsive and keep you motivated. Some good CPUs that come to mind here are the Intel i7 8700K and i9 9900K. As these are already quite high-end for Graphic Designers you can also save some money and go with the excellent AMD Ryzen 2700X or a Budget choice, the AMD Ryzen 2600. Memory (RAM) is not quite as important as it is in tasks that include editing on moving footage and motion design, but you should still not neglect it entirely. A good baseline is 16GB of RAM. The GPU plays a minor role in Graphic Design, and pretty much all mid-to-high Tier GPUs will do just fine in Software a Graphic Designer uses. You can take a look at an Nvidia GTX 1060 for example or even go up to an Nvidia RTX 2070 if you can swing it. Get an in-depth look at what the best Graphic Design PC would look like in this Article on Building a great Graphic Design Computer. When I say 3D Rendering, I mean the process of calculating the final Frame or Image of a Scene you are working on and not the active work within a 3D Software (such as Modeling, Animation). Rendering is usually done by the Computer itself without needing any kind of input from you. Because 3D Rendering uses your Hardware very differently than when you do active work on Scenes. For finding the best Computer for your active Modeling & Animation work, read further down. 3D Rendering is a process that can be parallelized extremely well and this means, you will benefit greatly from Hardware that can Multi-Process tasks well. For Rendering on a CPU this means you should get a CPU that has as many Cores as possible. AMD Threadripper CPUs are the currently best in CPU Rendering Value. An AMD 2990WX for example has over 5000 Cinebench Points, with Cinebench being a Benchmark that measures Render Speed very well. In CPU Rendering, your CPU is the most important part of the Computer, with RAM (Memory) following in second place. Everything else, the SSD, HDD, Graphics Card or Motherboard, play a very minor role in speeding up your Render performance. These Articles about finding the best CPU for Rendering and building the best Computer for 3D Rendering will help you with a lot of extra info. Of course, you can also render on your GPU (Graphics Card), as many Render Engines nowadays support the use of Nvidia’s or AMD’s Graphics Cards for fast parallel processing of Images and Videos. If you want to optimize GPU Rendering in Render Engines such as Octane, Redshift or VRAY-RT as much as possible, you should take a look at higher-end GPUs such as the Nvidia 2070 RTX, 2080 or even the Nvidia RTX 2080Ti. GPUs can also be stacked to up to 4 GPUs simultaneously in a PC-Case (or even more), which will scale your GPU Rendering Performance almost linearly. 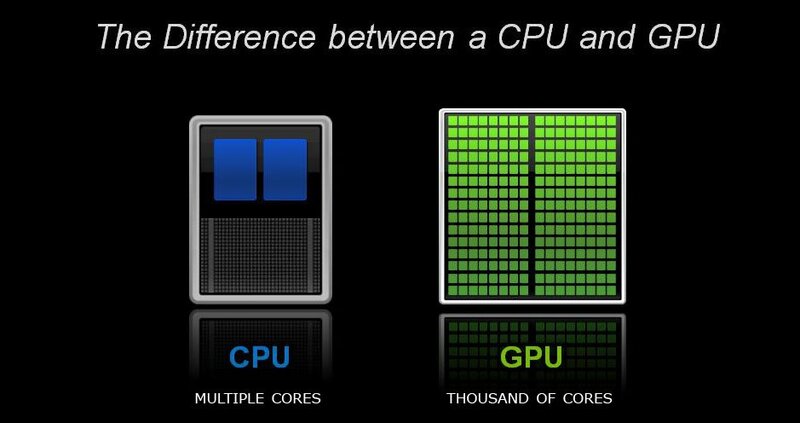 In GPU Rendering, the CPU itself plays a minor role, look for high core-clocks here to optimize things as much as possible. Ram (Memory) should be at least 2x the Size of your combined VRAM and Storage is something you can save money on as this will not impact your Rendering Performance much, if at all. I have written an in-depth Article on finding the best Hardware for GPU Rendering here if you would like to learn more about building the best Computer for GPU Rendering. I purposely decoupled this section from the 3D Rendering Section, because actively working inside your 3D Software utilizes your Computer Hardware in a very different manner. When you work, you want as little delay as possible and the Viewport should feel and be snappy. Now, many think the Graphics Card would be responsible for a fast Viewport, but in almost all Digital Content Creation Software this is not the case. Yes, the GPU outputs everything you see to your display device, but the underlying calculation of how objects are formed is all done on the CPU. In addition, most 3D Software works in hierarchies, with objects, deformers, generators, splines, booleans and so on, listed in a hierarchy, that in most cases has to be stepped through one by one. Because most objects are dependent on other objects (like a mirror object might be dependent on a boolean object that has to be calculated first), the CPU can’t offload certain steps to other cores but has to step through every single hierarchy level and object one by one. This means, in your active 3D Work, it is of utmost importance that your CPU has a very high single-core-clock, without necessarily having lots of cores. The Intel i9 9900K is the currently best CPU for actively working on your projects, with the Ryzen 2700X being the fastest CPU on AMD’s side. 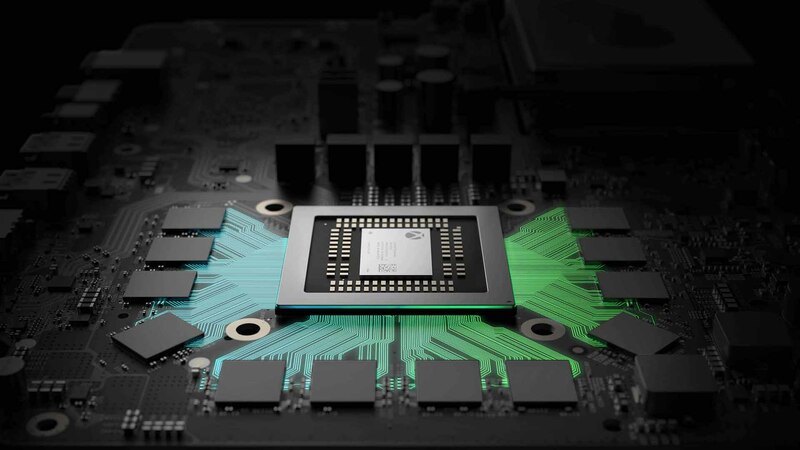 It certainly helps to have a strong enough GPU, but you can usually get away with an Nvidia GTX 1060 or Nvidia RTX 2060 and upwards quite easily. If you work on high-resolution meshes or have scenes with lots of objects, feel free to get at least 32GB of Ram or more. You can also be quite happy with 16GB, but you might notice how your Work gets slow quite quickly. I have written some in-depth Articles for you if you want to learn more about building the best Computer for 3D Modeling & Rendering or a great Dektop PC for Animation. If you are interested in getting a mobile Workstation, check out this article about the best Laptops for Animation. If you consider yourself a Motion Designer, you usually know your way around After Effects, Illustrator and Photoshop. After Effects, in particular, is a very Memory demanding Application so it helps a lot to get as much RAM as you can. 32GB should be the baseline for serious Motion Designers, with 64GB helping a lot with longer Comps and higher-resolution Projects. Once again, the CPU should be a high-clocking CPU that doesn’t necessarily have many cores. The reason being that After Effects, although it makes some use of Multi-Core Processing, is much more dependent on calculating the Effects and Realt-Time RAM Caches on very few cores, so going for a high clocking CPU such as the Intel i7 8700K or i9 9900K will do wonders for your active work speed. Having a fast NVME SSD such as the Samsung 970 EVO will help in quickly loading your footage and saving the finished project output to disc. Read more about building a PC for Motion Design and After Effects here. If your day-to-day work means spending lots of time in Solidworks, AutoCAD, Inventor, Revit or other CAD-Software, then you will need a workstation optimized for this kind of work. To buy a Computer for CAD you should know your way around Quadro GPUs, Xeon CPUs and some very interesting questions concerning durability, reliability and Software Support. Head on over to this Article to learn more about buying the best Computer for CAD Software. If you want to buy a new Computer for Editing Photos, chances are you will be using Photoshop and Lightroom, maybe Adobe Bridge a lot. These Apps don’t use lots of Cores at all and you can usually get a Processor that is high-clocked but has fewer Cores, to get the best Performance for Photo Editing. 16GB of Memory (RAM) should be enough for most tasks unless you are editing lots of High-Res Images at the same time. Take a look at this Article here to find the best Photo-Editing RAM Size for your particular needs. Buying a Computer for Gaming is probably one of the most popular thing you can do nowadays. The great news is, that on most of the PCs that you work on, you can also game on. Especially PCs for GPU Rendering, 3D Modeling and Animation, Motion Design and Video Editing are so strong that you can easily game on them at up to max settings. If you would like to learn more about building a specialized Gaming machine, head on over to LogicalIncrements as they have lots of great stuff to say about building the best PC for Gaming. This Guide wouldn’t be complete without mentioning using a Computer mainly for Office Work, such as Text Editing or Internet Purposes. The great thing is, that this kind of Work is not demanding on the PC-Hardware at all and you can get away with very low-end components. Every kind of PC Components mentioned so far, will be more than enough for Office, Text-Editing and Internet use. So you can’t do much wrong here. Any PC or Laptop under 1000$ will do just fine in this Area. After reading some of the linked in-depth Articles, you should now know what kind of Software you will be using and probably also learned a bit on what is important for your specific kind of Computer. You can buy Computers for any kind of Budget. If you have lots of money you can usually get a stronger PC, but the most expensive PCs are not necessarily the best for your kind of work. That is why it’s so important to know what you will be using the PC for mostly. Buying a 6000$ GPU-Rendering-Monster Machine can be slower for 3D Modeling or Photo Editing than a 2000$ PC that is optimized for 3D Modeling and Photo Editing. Getting expensive CPUs with a huge number of Cores will not help you at all for snappy Animation and Motion Design work, only in CPU Rendering. Sometimes less is more, so think about what you are willing to spend on your new Computer and I will tell you what PC will be the best PC for your purpose within your budget. Maybe you don’t even need to spend your entire budget. we have already come far in finding what kind of PC we need. We should now know if it’s going to be a Desktop PC or a Laptop. We should know what we will be using it for mostly and how much we are willing to spend. Now, take your 3 findings and head on over to the Custom PC-Builder Tool. Click the “Build!-Button” and see what kind of PC-Parts or what type of Laptop it recommends. Feel free to play around with the Tool a bit. What the PC-Builder tool does, is, it recommends the best kind of PC-Components or Laptop for the type of Work you will be doing. If you want a Laptop, buying it is as easy as ordering it through the preferred merchant of your liking (such as Amazon). If you chose to find Part recommendations for a Desktop PC/Workstation though, you can either order all of the individual Parts and Build it yourself or find a Site that offers to Build the Computer for you. I wholeheartedly recommend building your own Computer. Here is an easy to follow Video on how to Assemble a Computer. Be sure that you have all of the Parts needed to build a Computer. – That’s about it! What kind of Computer are you thinking of buying? You have some solid Parts in that list already! The GPU is a bit on the low-end, you might want to get at least a 1060 GTX or even RTX 2060. You can gain some Performance when buying Dual or Quad RAM (Memory) Kits. Right now you only have a single Memory Module. So say, 2x16GB would be ideal, as you also have room for upgrading to more RAM lateron. The PCIe-SSD that you chose is quite small , you might want to consider upgrading a bit to at least 500GB, depending on the size of your Footage. 500W for the PSU seems to be pushing it a bit. I would recommend going with at least 650W, because the Threadripper CPU can draw quite some power, and you might want to add more Drives or other Hardware to the Build, so better be safe. Storage is so cheap nowadays, I’d recommend going with a larger HDD such as a 2TB or 4TB Western Digital Blue.